When I started my current campaign in the beginning of 2018, the party foiled the Necromancer Varona Stillborn’s plan to sacrifice a Unicorn to create a Nightmare. For the last half a year, the party have been chasing her and they are nearing a conclusion to that storyline. 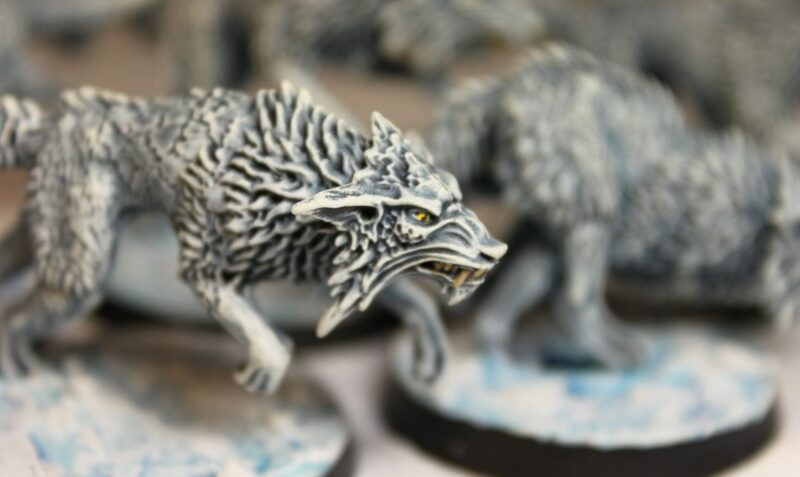 However, for the conclusion, I needed something to counter-balance the fire-base Nightmare and since there is another undercurrent in their campaign with a personal story around wolves, I decided to introduce these dire ice wolves called “Frost Bites”. 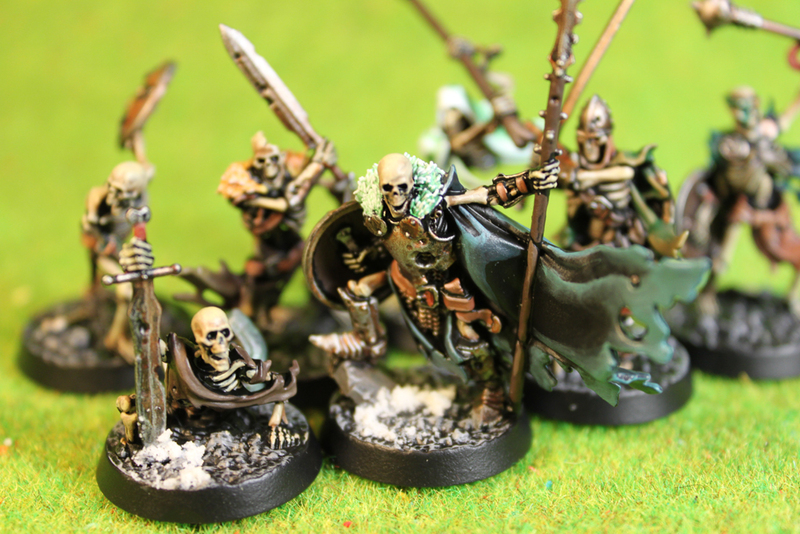 And the Fenrisian Wolves from Games Workshop seemed perfect.